Glenfield Borough, fire, emergency, utilities and building permit contact info. Glenfield Borough, incorporated in 1883, is conveniently located 10 miles north-west of Pittsburgh along the Ohio River. It is a community of 90 homes and 200 citizens, and is a part of the Quaker Valley School District. 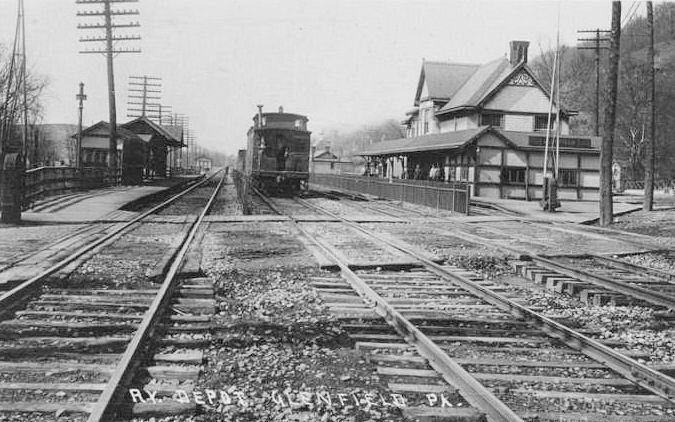 In the 1850's, the future site of Glenfield boasted Kilbuck Railroad Station and was known as the borough of Camden. On June 10, 1876, the borough became known as Glenfield. Situated between Route 65 and I-79, residents also have great access to major highways. Glenfield is a great place to raise a family, enjoy the recreational activities of the Ohio River or to take a leisurely walk along the historic streets.